It’s been a while since I shared an outfit post. Partly being very busy with work lately and partly because I am in a sort of writer’s funk! We’ll get to the latter later. 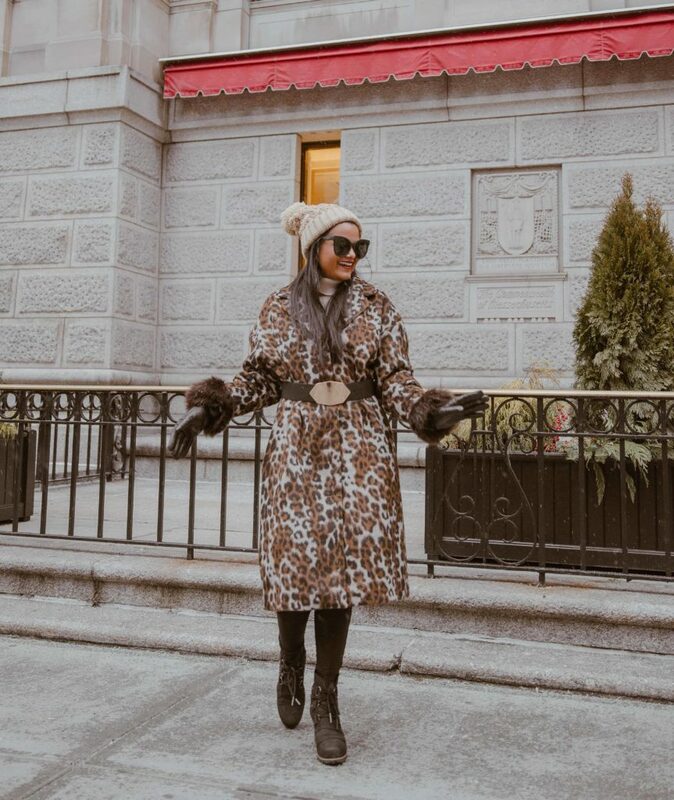 But we are in the midst of winters here in Boston and having a new, very stylish and rather affordable coat that keeps you warm and garners a few compliments as you walk down the street, must be shared! Agreed? And let me sneak in a little bit of a creativity in there with the fur sleeves. I had this sweater in my closet with the statement faux-fur sleeves which is cute on its own. 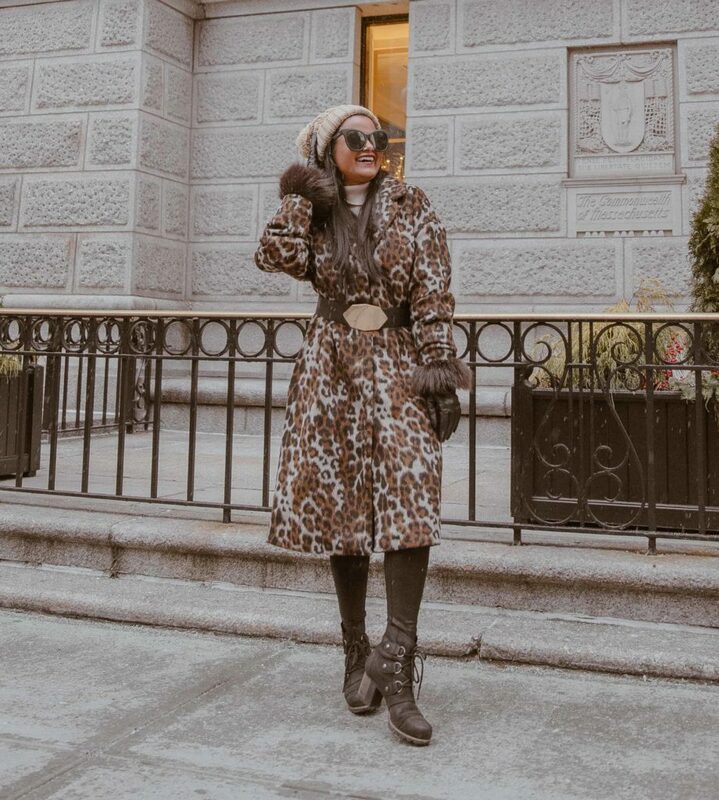 But put in on with the velvety leopard coat and have the sweater sleeves pop out, I am obsessed and might as well a little proud of myself with that trick. For some reason, I’ve never thought of myself as a leopard print girl. It is too bold of a print for my taste, but I think I’ve changed my mind. Paired with understated pieces such as classic black boots, my absolute favorite faux-leather tights – I think I wouldn’t mind walking in the office with this either. 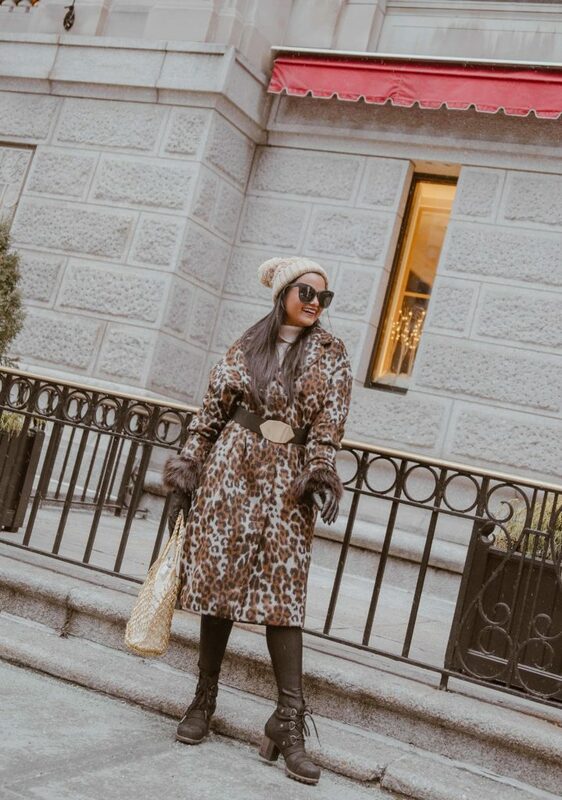 How do you feel about leopard prints? Such a great coat! You look so fab!! 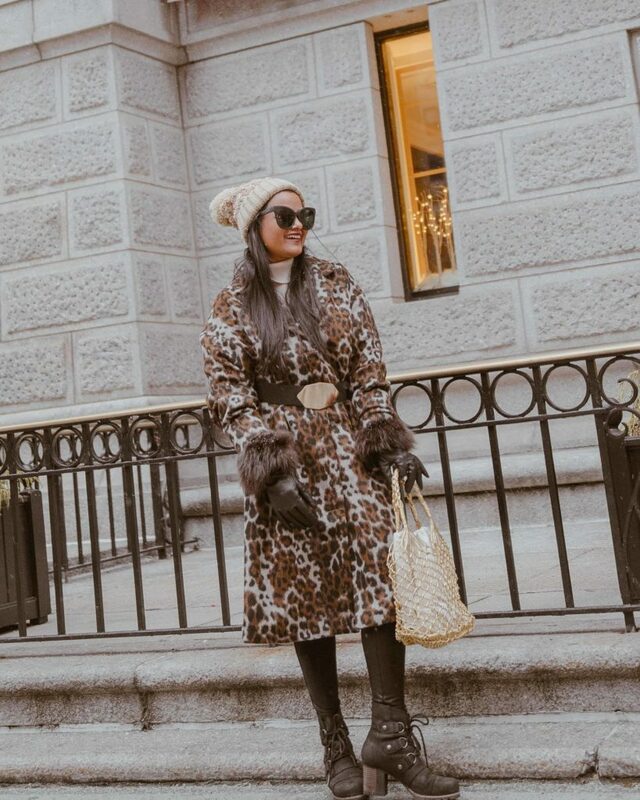 I LOVE LOVE this leopard print coat! 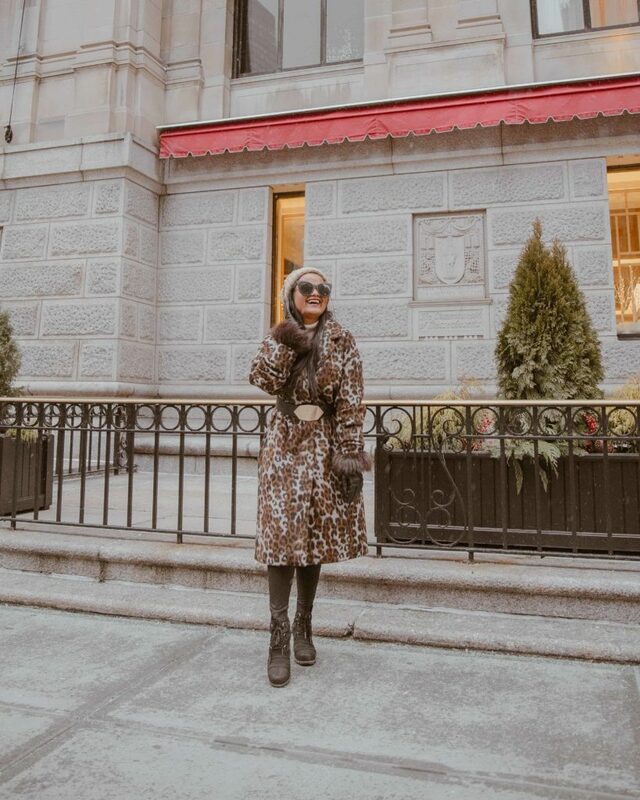 So chic, mama!